It’s all I can think while listening to “The Headmaster Ritual,” Morrissey sorrowfully calling out the educators of Manchester as “belligerent ghouls” that “thwacks you on the knees/knees you in the groin.” Is it feasible that corporal punishment be brought back into the American school system? I know from listening to Morrissey that the Manchester headmaster seems to produce a surplus of miserable lads, but at least they’re educated. Here the kids are miserable AND stupid. So what if the kids are a little sore so long as they know something? Just a thought. Probably not what Morrissey was trying to get across but I guess I’m just being difficult. To Morrissey’s credit, I like the line about the administrators that are “jealous of youth/same old jokes since 1902.” The guy’s got a sense of humor hiding under that dramatically blue tone. Anyway, to listen to Meat Is Murder is to understand why guitarist Johnny Marr is so highly regarded by the indie crowd. A lot of these riffs have been recycled by a shitload of bands since this album came into being and I’m sure I’m going to hear more of that with every Smiths album I listen to. It seems fitting that Marr’s playing with Modest Mouse these days, seeing as he’s probably inadvertently written a sizable block of their best material. Pitchfork would not exist in this dojo, would it? “Rusholme Ruffians” is the most upbeat song I’ve ever heard that involved people getting stabbed and robbed. More upbeat even than most rap songs these days, though the song is more of a tongue-in-cheek look at town-folk during those big community events. Catchy as hell. I hate that I like it. “How Soon Is Now?” is actually one track that I’ve always SECRETLY liked. The substantial guitar whine that gives the song its distinction is certainly a draw, but I even like the vocal approach here. I can definitely listen to this track more than once, even with lyrics like ”There's a club if you'd like to go/you could meet somebody who really loves you/so you go, and you stand on your own/and you leave on your own/and you go home, and you cry/and you want to die.” This might be my favorite track on the album. Actually, it probably is. “Nowhere Fast” sounds like a Gun Club track. I wonder if Jeffrey Lee Pierce ever borrowed anything from The Smiths. Or, vice versa. It’s poetic in its disgust with self, small town sheltering and complacency. Another great line: ”Each household appliance/Is like a new science in my town.” I can actually relate to that. “Well I Wonder”’s rainy climax is a little dramatic, don’t you think? I understand that The Smiths pay a lot of attention to theatrics but…I think Morrissey’s perpetually bummed disposition communicates that enough by itself. At moments like this, I feel a little justified in my original opinion of The Smiths and their “whoa is me” ways. But, not completely. Why do the songs that involve violence sound so upbeat? “Barbarism Begins At Home” is a straight up disco track about child abuse. Or, maybe excessively employed disciplinary principles. Either way, kids get hit, but you can dance to it. Maybe that’s meant to be ironic. I found it perplexing. The most dramatic song on the album is the title track. The use of echoing cows as a precursor to this song’s obvious stance against carnivorous consumption reminds me of the distant helicopter static and gunfire that opens up Metallica’s “One.” It has this “run for your life, oh sacred and endangered cows” vibe to it that actually makes the song a little corny. The song’s not bad lyrically or musically; it unfortunately fucks up its message by being, once again, a little too dramatic. It’s a sullen closer, but it gets the job done. I hate to say it, but Meat Is Murder is a good album. And, something I REALLY hate to admit, Morrissey actually does have an interesting point-of-view and a solid knack for poetic sarcasm and humor. But, as far as my ears can tell thus far, The Smith sound really belongs to Johnny Marr. I would attribute the band’s iconic and seminal reputation mostly to him. But, I have a couple more albums to listen to, so that conclusion may change. I guess we’ll see. See - See, I told you...all these years of mocking...and you LIKE them. I am a joyful little ball of "HA!" right now! That was from me - Jenniah - the wife who isn't saying "I told you so" too much. 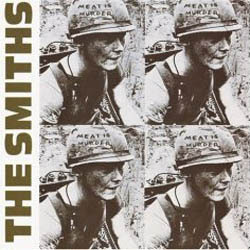 Let's just get this out of the way: Meat Is Murder is not my most favorite Smiths album (not that I think I have a favorite album, maybe we'll get into that as the week goes on). That being said, Metallica's "One" will, 98% of the time, sound better to me than "Meat Is Murder." It, 100% of the time, rocks more. it is, 2% of the time, more poetically written & sung. And if we want to get into the realm of "solid knack for poetic sarcasm and humor" as it relates to fey-sounding 80s bands, will we get a S.T. Morrisey v. N. Tennant lyric-off? 1. The "overly-dramatic" sound effects are mostly a nod to Morrissey's love of films and how those sounds help to embellish a story or invoke a feeling. As far as their heavy-handed usage -- let's not forget that these albums were being written, performed and produced by two guys who were 20 and 24 respectively at the time. They had no producer to help steady their hands, not even a manger to lend well-intention advice. 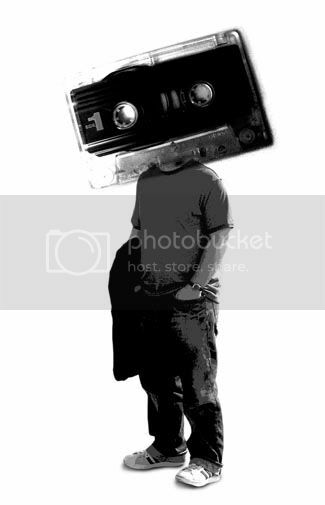 I'm sure that all of our own college garage bands would have failed miserably had we been thrust into the same vortex of fame and expectations. 2. Please don't overlook the fact that this little band of nobodies shot forth fully-formed and blazed a trail in four short years that has influenced the music scene in countless ways (not just indie rock). Even the mighty Beatles cut their teeth by following in Little Richard's footsteps before they found their own genius. This is no small feat. You are making good progress... but you need to trust your heart. Your mind will betray you. Yeah, and now it's your turn. Frank Zappa time, baby! I really wasn't comparing or contrasting Metallica's "One" with "Meat Is Murder." I was only pointing out the use of theatrical sound effects as a tool for conveying the song's message before the subject matter even hits the ears. That's all. As far as the lyric-off, I'd rather not open a new can of worms. As it is, this series of reviews is generating a LOT of passionate responses. 1. My comments about the sound effects weren't really meant to downplay their musical contributions. I was merely pointing out that the music alone was more then enough to get their points across. I will say that the rain that closed off "Well I Wonder" was better incorporated musically than the cows the set off "Meat Is Murder." 2. As far as The Smiths' influence, I was going to leave that as something to focus on when making conclusions about the three albums I'm reviewing. I did note that Marr's guitar work alone has had an unquestionable impact on music. I know that I put an emphasis on indie music by stating Marr's cult following, and throwing a little jab at Modest Mouse, but it was definitely something I meant to cover. 3. Granted, Morrissey's timing and harmonies are uniquely crafted and do much to define The Smiths' music. Absolutely. But, I felt in terms of influence that more bands have capitalized on Marr than Morrissey. You are much more fluent in all things Smiths-related so my observations may be off the mark. Plus, I figured that anything I wrote would probably change as I become more familiar. Next review, I may take it all back. Thanks a lot for reading. I'll have Part III up soon. Btw, I come into your world via Phoenix and Raevyn, who couldn't praise your musical librarianship highly enough; I checked a few past entries, and added you to the rss feed - while we don't agree on absolutely everything, I'm sure, were we to meet in meatspace, we'd get a few beers in us and start singing Wolfmother songs, just to annoy those around us. Keep up the good work, basically, is what I'm saying. Raeyvn and Phoenix flatter me; I just think I know what I'm talking about. Any friend of their's is a friend of mine so it's good to meet you. And, seriously, thanks for reading. It's good to get some comment activity going on in here. Sometimes it gets a bit lonely and I can hear crickets chirp.